I received an unusual email Thursday from a complete stranger who found my book, I Don’t Buy Green Bananas, on Amazon. I laughed out loud as I read, “I was happy to find positive results to my Google search ‘is Joanie Butman still alive?’" “Not as happy as I am!” was my immediate thought. It made me think of the time I was illustrating how Google works to my dad. I input his name and the top result was an obituary from the prior year. With feigned sadness, I informed him that he had died last October. 1. I now know someone other than my family has read my book. 2. I believe it was a timely Divine pep talk. As it turns out, this woman’s husband was diagnosed with the same type of cancer as me. It affects only two in a million, so connecting with fellow patients can be a challenge. Connecting with live ones even harder. I could empathize with her desire to converse with someone travelling the same road. There is nothing more comforting than when someone says with a nod of understanding, ‘me too.’ Knowing there is somebody who understands what you’re going through makes any burden seem lighter. People seek solace and advice from those who can relate to their situation. After my first surgery, many well-meaning people encouraged me to join an on-line support group. Against my better judgment, I began researching available forums. I quickly realized this exercise was self-defeating, as many participants were now dead – a fact that definitely did not suggest high attendancee, nor did it offer encouragement or hope. 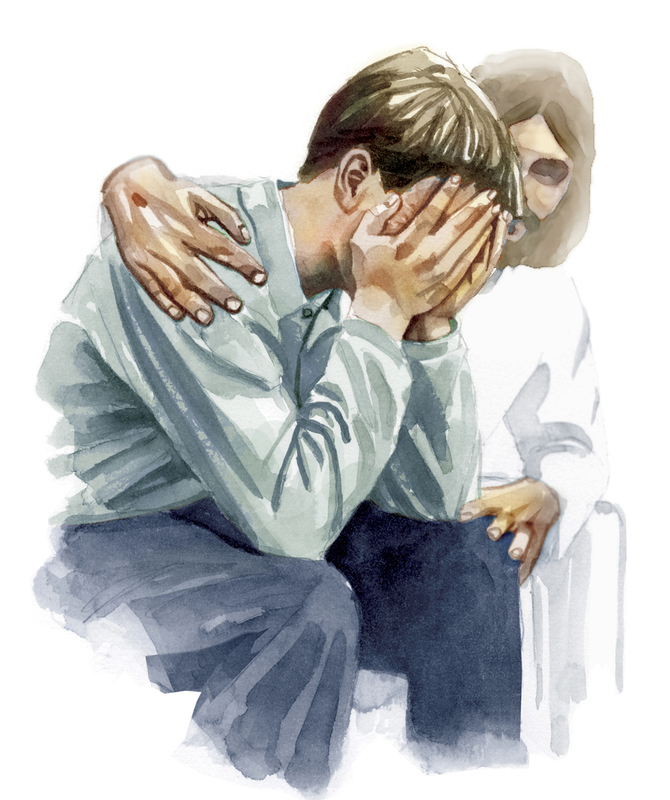 I decided to stick with my tried and true support group – Father, Son and Holy Spirit. Jesus came to save us, yes; but an important aspect of Him stooping to our level was to share in our humanity so that we could have in Him the ultimate, divine ‘me too’ friend. Christ understands suffering and is always ready to come alongside you with a knowing and loving ‘me too’ to offer solace, support, strength, encouragement, compassion, and hope. At any rate, the reason the author of the email wrote now was that her husband recently discovered “a new, small tumor, probably left over from the ‘mothership.’” Again, a familiar and predictable scenario for this type of cancer and a terminology I could fully appreciate. So how could her note possibly be perceived as a pep talk? It arrived the day after visiting Sloane Kettering for tests to determine the size and progress of my own ‘leftovers.’ The results indicated it was time to ramp up the current ‘wait and see’ strategy to a more proactive approach still to be determined. In much the same way my new pen pal claimed that “It was truly a God moment when I found it (my book) on Amazon three years ago,” her note was a God moment for me – a Divine nod that He’s got my back and that He still has work for me to do. It’s amazing how He uses us to minister to each other. Sadly, I didn’t have a lot of sage advice to offer other than to share that my faith is the only treatment that’s been effective in keeping my sanity – though that varies day to day. My presence is probably the most helpful ‘symbol of hope’ for her to grasp. As she learned, the medical community’s goal for her husband and others like us is to die (preferably after a long life) with cancer, not from cancer. The tricky part in dealing with cancer and life is learning “the secret of being content in any and every situation.” For that I rely on Paul’s words and example from Philippians 4:13, “I can do all things through Christ who strengthens me.” That’s one translation and my go-to verse in any situation. A longer translation that I particularly like but exceeds my memorization capacity states, “I am ready for anything and equal to anything through Him who infuses me with inner strength and confident peace.” As I mentioned in my book, I want the Big C in my life to be Christ not cancer. All we have to give away is our own journey. Our own story. Then we become living witnesses. The only authority we have in other people's lives is what we ourselves have walked and what we know to be true. Then we have earned the right to speak...We must believe in such a way that we give hope and meaning...that's what our lives are for. Don’t ever underestimate the power of choosing to come alongside someone with nothing to offer except a loving hand and an empathic, “Me too.” It’s what Christ does for us in our suffering and what He wants us to mirror to others in theirs.